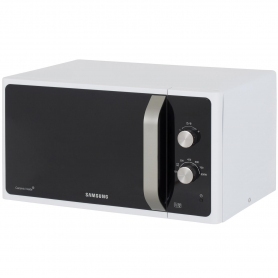 The Samsung Microwave MS23F301EAW is a high-tech appliance that makes cooking healthy food as simple as pushing a button. 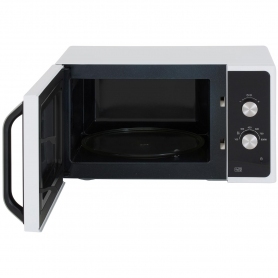 This freestanding solo microwave is striking in appearance, with a white finish and ice blue LED display which is easy to read in dim lighting. The Easytronics dial control is simple to use and gives a modern look to your kitchen. Rather than repeatedly pressing a time button just spin the dial to set the required amount – quick and simple. 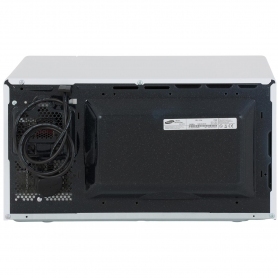 The MS23F301EAW has a ceramic enamel interior that‘s super hard wearing and scratch resistant for long-term high quality. 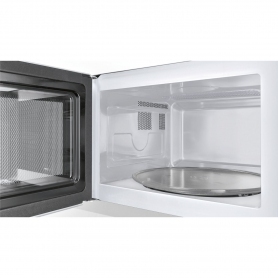 It’s easy to clean, and an anti-bacterial finish ensures all your food is cooked hygienically. Daily spills of food and oil won’t cause it to discolour either. 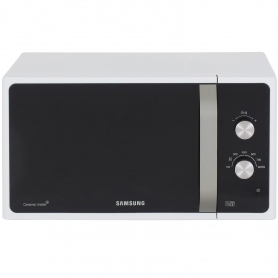 With a capacity of 23 litres, this microwave can cook a large family meal easily. Seven power levels mean you can choose the right setting for your meal, every time. A defrost setting lets you defrost your food safely and efficiently – perfect for those times when you’ve got nothing in the fridge. It also helps to reduce overall cooking time if you’re in a hurry. More efficient emission of power equals better cooked food, created by a triple antennae distribution system which spreads heat evenly through the microwave. The antennae are spaced out for broader coverage so you get perfectly prepared, succulent meals every time. 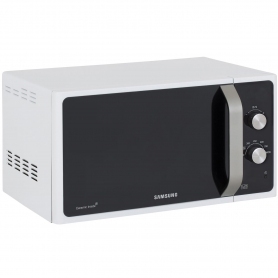 Buy your Samsung Microwave MS23F301EAW today for freedom from over or undercooked meals.